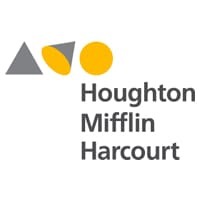 Headquartered in Boston, Houghton Mifflin Harcourt (HMH) is a nearly 200-year-old publishing company that has been “changing people’s lives by fostering passionate, curious learners.” The company primarily focuses on K-12 education, both learning materials and assessment materials, and publishes textbooks, instructional technology materials, assessments, reference works, and fiction and nonfiction for both young readers and adults. Some of its most famous books include Lord of the Rings, Tolkien’s works, and Life of Pi. Houghton Mifflin Harcourt (HMH) faced three business challenges: gaining real-time visibility into its AWS spend that covers several accounts across multiple business units and many developer teams, optimizing its DevOps Monitoring, and gathering and tracking KPIs to measure the company’s online educational business. The company needed real-time cost visibility into its many accounts, each of which manages its own services. Each month, they ingest about 23 million line items from AWS (the AWS Cost and Usage report contains line items for each unique combination of AWS product, usage type, and operation that an AWS account uses). Each of these line items is converted into points and is at one-hour granularity, so every line item represents the billing for one hour. With the real-time visibility, time to value, and control that InfluxData has provided, Houghton Mifflin Harcourt’s Bedrock Platform Technical Services team is now able to better align performance with the fiduciary aspects of infrastructure operation. The resource ID’s (captured by AWS) are used as tags in InfluxData to perform data drilldowns to discover all the different ways that the company’s products are consuming AWS services and also to view cost changes to identify deviations from what they expect versus what they know. They can now view Spend by Product, Hourly Cost, and also break down their Run Rate by certain products.